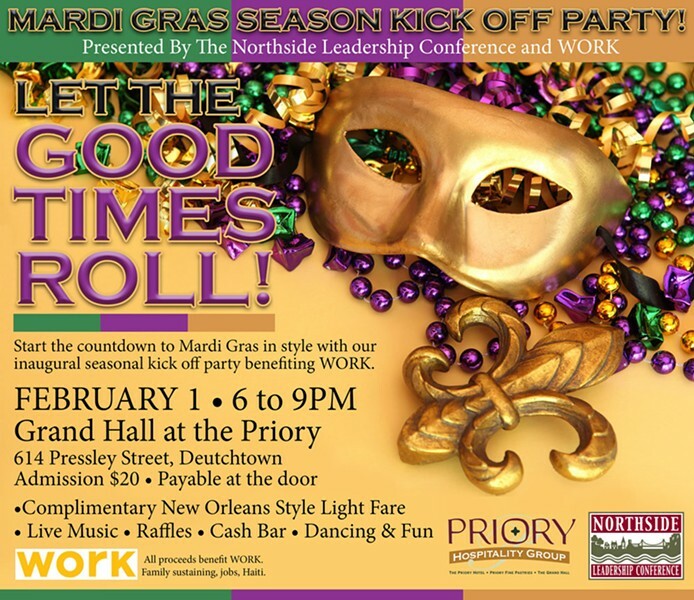 Join the Northside Leadership Conference and Work (formerly Team Tassy) at The Grand Hall at The Priory to kickoff the Northside Mardi Gras season! You'll enjoy Dixieland music, Creole-style food, a cash bar, door prizes and loads of fun! Proceeds will benefit Work, which helps families in Haiti escape the cycle of grinding poverty by helping them find and retain good, dignified jobs.